I'm determined to be able to see the back of my kitchen cupboards and also start afresh with my freezer so today was a bit of a "use it up" dinner. 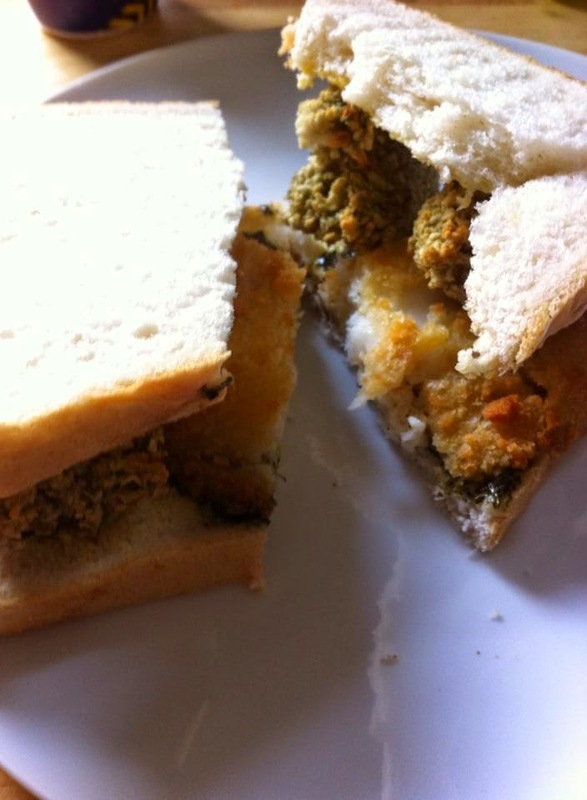 I ended up with a piece of battered fish, sage and onion stuffing and then a bit of mint sauce all in a sandwich. Absolutely delicious but not sure it would feature on a restaurant menu.